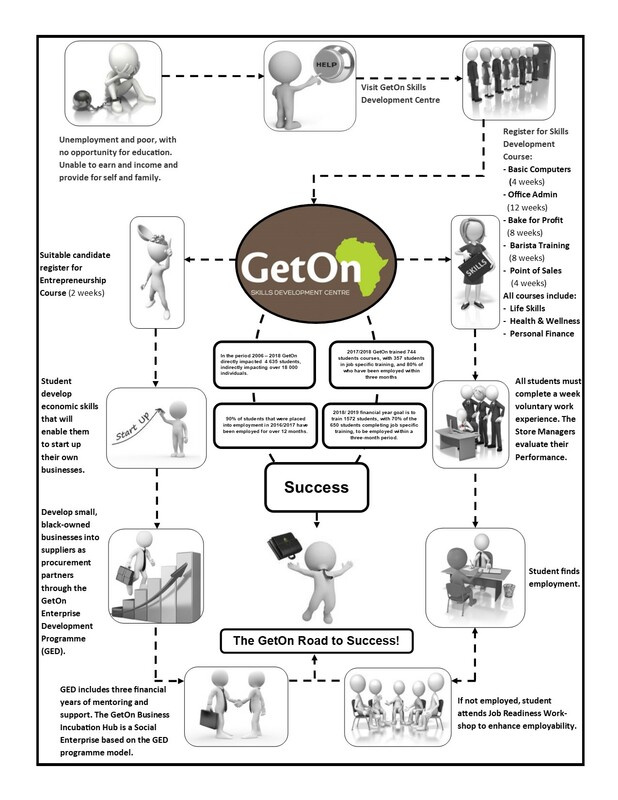 The GetOn Skills Development Centre strives to uplift and eradicate poverty in the community. Through partnering with us your company will be able to contribute towards your SED elements on the BB-BEE scorecard. GetOn is a registered Non-profit and Public Benefit Organization, which means that quantifiable (invoiced) donations from within 10% of your company’s gross annual income are tax deductible. 4. Report from a third party confirming the race of the beneficiaries.